"Victory Plumbing is a great company to be trade partners with. Everyone in the organization is top notch, including upper management, office personnel and the field technicians. I am very happy with their level of service and supervision." "Victory Plumbing has been an excellent change from the previous plumber for our company." "As always, I am very happy to have Victory as my plumber!" 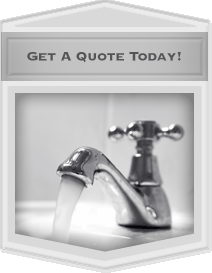 "Victory Plumbing is one of my favorite vendors. Keep up the good work!" "We had never built a home before, so we had many questions and needed much hand holding. It seemed like nothing was easy or simple from the beginning, but your team handled every detail and problem with creativity and professionalism. Thank you for all of your help in completing our beautiful new home!" "Your service department did a great job at my home cleaning out the sewage line. The service tech had a great attitude, and was very patient as he looked for my cleanouts which were covered by landscaping and sod. Your work allowed my family to get things ‘back to normal’ for the evening." "I wanted to let you know how pleased I am with your service tech who came out to repair the leak I had in my Jacuzzi plumbing. He was dedicated to doing a good job, and I appreciate that." "Just wanted to drop you a note to let you know that the service tech who came out to Northtown for service work this morning has got a great attitude. He handled a very unique customer this morning perfectly." "As a home builder and business owner, I expect a lot from all of my trades. With that being said, Victory has always stepped up to the challenge. In an imperfect field they have always made the necessary adjustments to keep the project rolling, and most importantly, always keeping my clients happy." "Thank you once again for all of your help last week. I understand how difficult it is to make things happen with no notice when an emergency comes up, especially one that is not your fault. Your crews did an excellent job getting everything repaired correctly and in a time crunch."